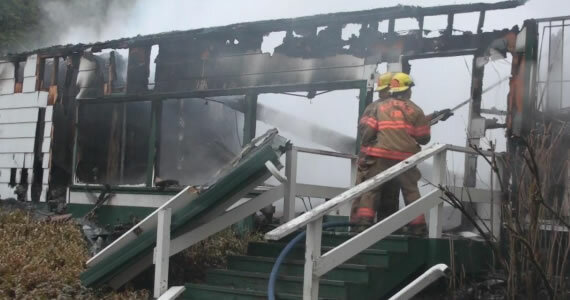 Earlier Monday (3:00AM) Big Brother 8 Kail Harbick’s Holiday Farm Resort burnt down. The farm was host to many Big Brother Alumni, the Rainbow Reality Reunion. Guest cabins were not affected but the kitchen, bar, and restaurant burnt to the ground. The local small community of Blue River, Oregon is devastated by the loss of one of the towns sources of revenue. Holiday Farm Resort Manager Brenda Anderson says “To lose something of this value is devastating to the community. Everyone has either worked here, stayed here, played here or frequented it”.